Untreated, or “hard,” water naturally contains trace amounts of heavy minerals such as calcium and magnesium. 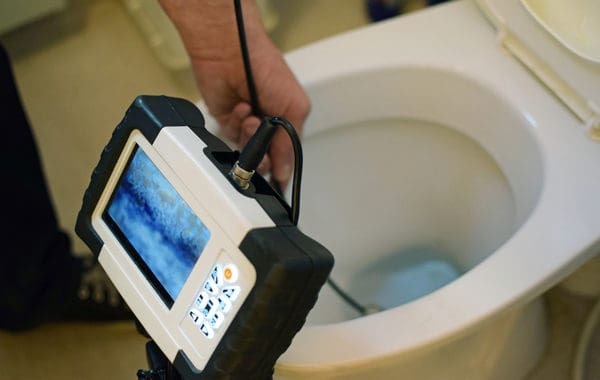 These minerals collect on the inside of pipes over time, forming “scale.” Scale constricts water flow through pipes, diminishing the effectiveness of your plumbing and eventually causing leaks or clogs. Minerals from hard water can also accumulate in water-based appliances, such as your water heater, coffee maker, dishwasher, and washing machine. 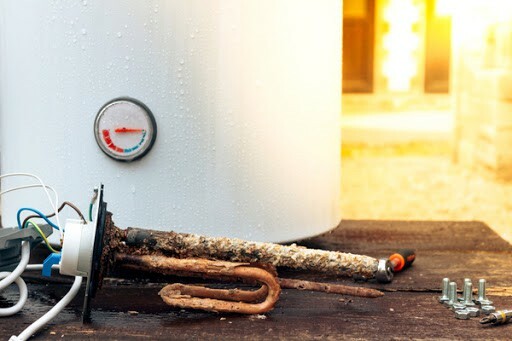 This build-up is hard on appliances, and will have an impact on their efficiency and lifespan over time. Hard water also reacts with soaps and cleaning detergents, forming a scummy, chalky substance called “soap scum.” Soap scum makes cleaning products less effective, meaning you’ll need to do more scrubbing to get suds and, consequently, you’ll have to spend more on soap and detergent. Dishes and glassware washed in hard water will sometimes have spots or rings left behind, even after multiple washes. Like it’s name implies, hard water is also harder on clothing, hair, and skin. The minerals produce a coarseness in water that can be abrasive and damaging. Hard water might also taste metallic or smell unpleasant, though this isn’t always the case. 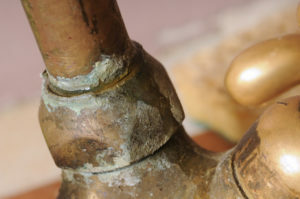 Long story short: hard water can cause a lot of problems for your home and family. The good news, however, is that it’s a problem that can be easily avoided. Water softeners work by using a process called ion conversion to filter out all the heavy minerals present in untreated water, replacing them with different, less intrusive minerals such as sodium. You periodically fill up your water softener with a softening agent such as solar salt, rock salt, or evaporated salt (which you can buy at your local grocery or hardware store), and the water softener handles the rest. With softened water, you won’t have to worry about the issues hard water brings. Soft water doesn’t buildup scale, is easier on water-based appliances, doesn’t generate soap scum, and won’t hurt your skin or hair. According to a study conducted by Water Quality Research Foundation Battelle Institute, installing a water softener could actually save you up to $480 annually! Installing a water softener can be one of the most important things you do to save on housekeeping costs, not to mention how much better it is for your skin and appliances. 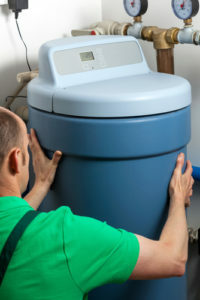 To make sure you get a top-quality water softener that lasts, have the experts at Ben Franklin walk you through the options that are best for you. Our technicians have the training and tools to answer all your questions and make sure you get the softener that’s right for you.